Early last month, it happened again. A leading newspaper here told us the Hong Kong movie industry is in decline. This time, it is losing out to South Korea's, which is on the rise.This may be right, at least in some ways, but this view sees the movie business like a big regional football league, with territories scrapping it out - South Korea 60 openings, Hong Kong 40. This is beside the point. It's true they don't make them in the sheer numbers they used to in old Hong Kong but for that we can give artistic thanks. Instead, a new film is a compelling indication of the potential of regional cinema.Drawing on actors from the mainland, Hong Kong, Taiwan and Korea, money from here and there, and even the skills of an Indian dance master, a new musical, shot in Shanghai with a Hong Kong director, shows what a complex idea can do. Under a humid sky that looked like an unwashed bed sheet, on an eerie mock-up of the city's downtown, set on a faraway Shanghai Film Studios back lot, snow was being blown. It was deep winter on the set of Perhaps Love. t amused. A trouper, nonetheless, he moved to the edge of the gantry on a high note and stretched out a hand as though to catch a trapeze bar and fly - a detail to be coped with another time by somebody else. Swiftly and mercifully, the director shouted "Cut!" Shot in Beijing and Shanghai in Putonghua and set for release this week, Perhaps Love is attracting attention for a number of reasons. What has raised the most eyebrows is that this is a musical, a celluloid creature thought to be extinct in the mainland since at least 1949. After the communist victory, any musical features made were of the heroic, fists-in-the-air variety, shot under the leaden artistic supervision of Madam Mao. There was no ideological space for color, dervish dancing or romance. But musicals are back in a big way everywhere else. Andrew Lloyd- Webber made it to the House of Lords on them. Disney animates them. Bollywood is built on them. It is time for song and dance in Chinese film, think the makers of Perhaps Love. Investors are singing along to the tune of US$10 million (HK$78 million), an awful lot of money for a movie in these parts where budgets rarely exceed US$4 million. Yet how local is this movie? It is seeking the nomination for the 2006 foreign film Oscar as Hong Kong's entry, but how much does Perhaps Love belong to just one territory? The US$10 million comes from Astral-Shaw TVB and Stellar Megamedia which, translated into geography, means Malaysia, Hong Kong and the mainland. The cast and production team are from Hong Kong, the mainland, Taiwan, South Korea, India, Australia and the United States. Post-production on the movie was done in Bangkok, Hong Kong and Shanghai. This multinational spread of artists and operators gives the film a real across-all-borders flavor.Peter Chan is a critically acclaimed Hong Kong director with a rising international profile and Perhaps Love is shaping up to be his breakthrough film. The producer is from Hollywood - Andre Morgan of Ruddy-Morgan Productions, which last year brought us Million Dollar Baby. A movieland Sinophile who cut his teeth at Shaw Brothers, Morgan has a long-term vision of a Sino-US movie fusion. He introduced Bruce Lee to America. Among the Perhaps Love performers, Hong Kong's Cheung is huge in Asia. At the time of filming, his image was strung up from every lamp-post in Shanghai as he finished a sell-out one- man show there. A modest superstar with a penchant for hot cocoa and early nights, he was keen to go home to his wife and new baby. Young screen idol Takeshi Kaneshiro, has a continent of girls and some boys in permanent palpitations over his Taiwanese-Japanese good looks and a shyness which makes him a more reluctant interviewee than Greta Garbo. 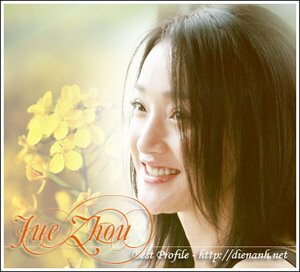 Also in the cast is Zhou Xun, a powerful young actress who is still little known outside China. She is a tough, petite performer with an Edith Piaf wiriness. Between takes one day, , she shivered convincingly in the bogus snow. For my money she is set to be the next Gong Li. Ji Jin-hee, another young star shooting out of the bright Korea film firmament, came to regional fame as the male heartthrob in The Great Changkum, a soapy history drama about cooks in the Korean royal kitchens, which had the streets empty in Asian capitals every night it screened. Peter Chau, one of the film's cinematographers, along with the legendary Australian Christopher Doyle, won an Oscar for his work on Crouching Tiger, Hidden Dragon. Chau, who apparently does not suffer fools gladly when looking through the lens, has been described as "brilliant." There has been a whiff of risk around the making of Perhaps Love, which cannot be dispelled until it opens.Putting musical scenes into a film is tricky. "On paper some of these scenes don't look like slam-dunk successes. It's the music that makes them so," said Chan. He and Morgan, utterly in love with musicals, were nervous about a Chinese audience accepting the genre. They have come up with a device.The movie is about people in the present making a musical set in the past and around a circus. The song and dance is confined to the circus subplot. Cheung plays a famous director who is experiencing a crisis with his creativity and in his relationship with his actress-lover, played by Zhou. He tests himself by making a musical in which he has little confidence. He casts a male lead, played by Kaneshiro, unaware that he was his girlfriend's lover 10 years before. The director then takes over one of the lead parts and transfers the "real- time" love triangle of the major plot into the musical subplot.The circus subplot is about an amnesiac female circus performer, shacked up with the circus director, who is rediscovered by her forgotten lover of years back, a duplicate of the main plot. Chan says he has taken some tricky musical scenes which "had their ups and downs" and transferred them into the musical subplot to make them the ups and downs of Cheung's character. "I am transferring the risks in making a musical into a plot about a man risking the making of a musical," he said. Chan and Morgan believe they have also solved a credibility problem with Asian audiences. "Take Jackie's song on the gantry in front of the clock," said Chan. "You could not possibly present that as contemporary reality. They'd scoff at it. "But if you package it in a period subplot, the music can carry the scene. It is a synthesis of song and dance with narrative, which a Chinese audience will accept." These also have a soft spot for Bollywood or, at least the way it moves. The production used Farrah Kahn, Indian film's leading choreographer, to create dance routines the likes of which haven't come out of a Chinese studio in living memory. "The dancing is the most exciting I have seen in Chinese cinema in 25 years," said Gordon Cheung, vice- president of Celestial Pictures, the film's distributor. Promotional clips indicate an unusual, interestingly dark treat in that department. Producer Morgan cautions, though, that this is Chinese cinema and cannot be structured the Bollywood way. "You cannot suddenly stop as they do and say, `Okay. Let's sing and dance for a bit.' Eyes would roll in the audience. You must keep the narrative moving." On set in Shanghai, there was excitement and a sense of fingers crossed behind backs at the experiment under way. "We are recreating a forgotten genre," Morgan said. "It will be a new wave out of China." If Perhaps Loveis nominated in the foreign language category of the 2006 Oscars, it's a genre that could sweep screens everywhere.Perhaps Love will open in Singapore, Malaysia and Hong Kong on Thursday and Korea and Taiwan December 30.Japan will see it in May. Given its backers, creators and performers, the real genre at work here is the Greater China movie, or even grander, an all-Asian production. Factor in Morgan from Wilshire Boulevard and it goes pan-Pacific. For Hong Kong, Perhaps Love could represent a big shift in its importance. The territory could maybe become the incubator and exporter of movie-making intellectual skills beyond martial arts and canto-pop. As with the Perhaps Love adventure, we'll see.